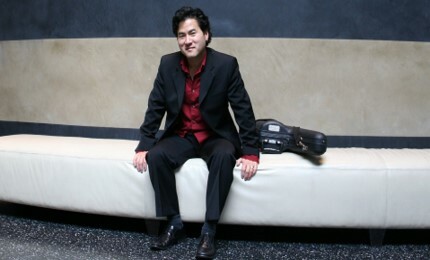 Jazz and classical saxman, Jeff Kashiwa has nine solo CDs and appearances with The Rippingtons and The Sax Pack. He joins Brazosport Symphony Orchestra in Nelson Riddle’s arrangements of Gershwin’s Someone to Watch Over Me Johnny Mercer’s Too Marvelous for Words and Temptation from the Charlie Parker songbook. As promised, this is an INTERACTIVE! concert. BSO will open with Bernstein’s Overture to Candide and Mozart’s Oboe Concerto with principal Annette Garrett, alongside Jeff, on a Unique Electronic Wind Instrument After a quick lesson, volunteers from the audience will be chosen to conduct the orchestra. A Young Melody Composer contest launched in local schools this past fall. The melodies of 2 winners from the contest will be combined by local composer and conducted by the winners and Mr. Casey. The audience will join in on the finale to Tchaikovsky’s 1812 Overture.